Summary: The Predator Triton 500 is one of the better value options in its class of 15-inch premium thin-and-light gaming laptops. 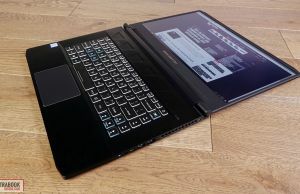 The excellent performance (once tweaked) and the competitive pricing are its main selling points, alongside the compact form-factor and light-weight, the good quality screen with GSync support, the full-set of ports and the fast keyboard, but there's still room for refinement in the build, keyboard, battery and speakers departments. We get in-depth on all these aspects in the review below. 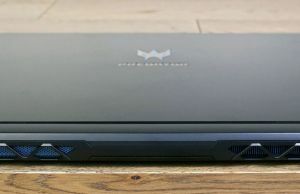 This article is a detailed review of the Acer Predator Triton 500 PT515-51, in the top-specked configuration with a Core i7-8750H processor, Nvidia RTX 2080 Max-Q graphics, 32 GB of RAM and two SSDs in Raid0. 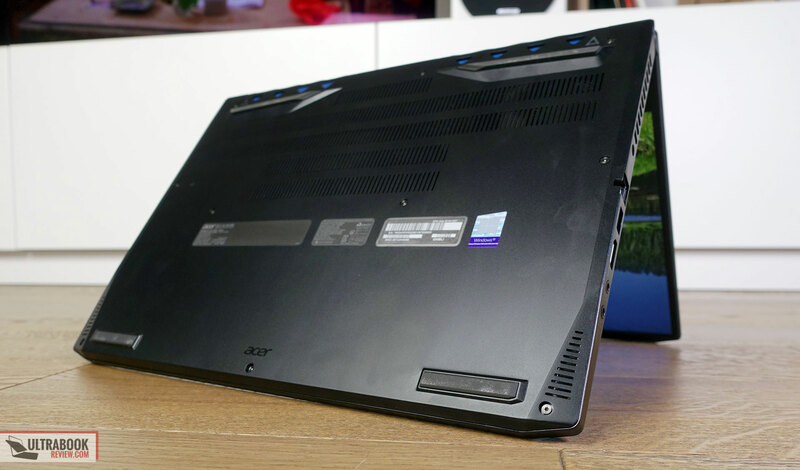 The Triton 500 is a brand-new design and Acer’s most compact 15-inch gaming laptop to date. 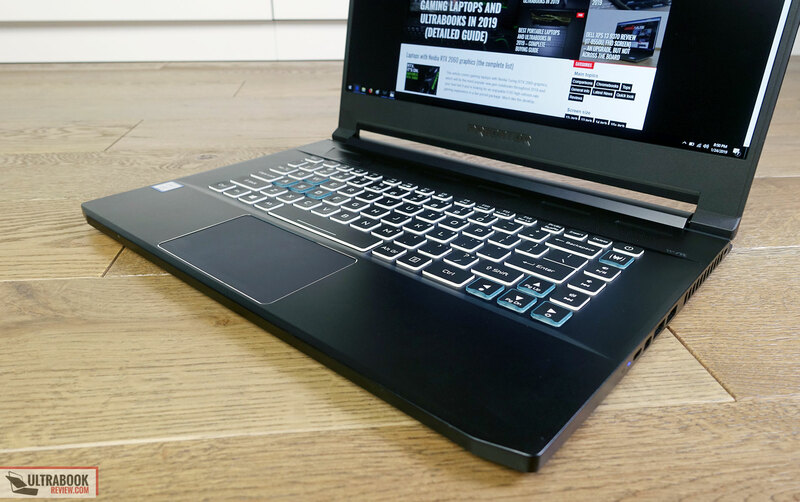 It’s also a sleeper notebook, fairly subtle on the outside, but a beast when it comes to the specs and the performance it delivers, both in CPU and GPU demanding loads. 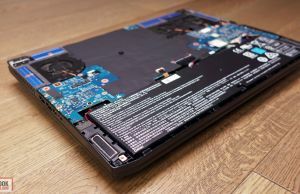 The performance is probably this laptop’s strongest selling point, but it comes with a price: high temperatures and noisy fans, as you’ll see when we get to talk about the hardware and its behavior in our tests and gaming sessions. 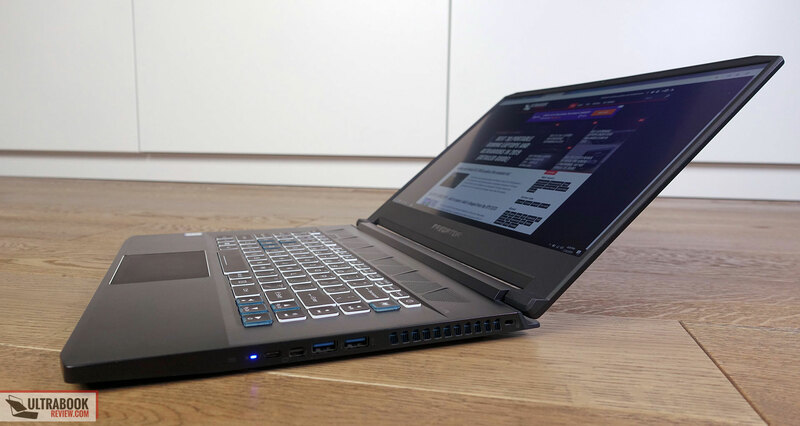 Aside from the looks and performance, the Predator Triton 500 also gets a bright and punchy 15-inch IPS screen with 144 Hz and GSync, a fast and comfortable keyboard, a full set of ports and a fairly large battery, all squeezed in a compact and light metallic build. 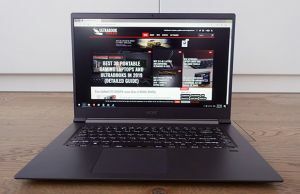 Knowing Acer’s past history, I’d also expect this to be competitively priced in most regions, and it needs to in order to compete with the heavyweights in its class, devices like the Razer Blade 15, MSI GS65 Stealth Thin or the Gigabyte Aero Y9, especially as these tend to outmatch it on some fields, like the build, the keyboard’s illumination system, and audio quality. 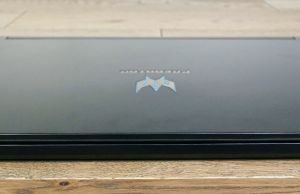 We’ve spent the last few days with a pre-production version of the Predator Triton 500 and gathered all our impressions below, with the strong-points and the quirks you’d better be aware of in order to decide if this is the right gaming ultraportable for you or not. Acer offers the Triton 500 in a multitude of configurations, with various amounts of RAM and storage, as well as RTX 2060 or 2080 Max-Q graphics. They all share the same traits, so most of this article applies to any of the configurations you might be interested in. 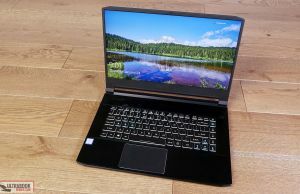 A year or two ago I wouldn’t have expected such powerful specs inside such a compact and slim design, but these days there are quite a few such 15-inch ultraportables with RTX 2080 graphics and a powerful processor. They’re not all the same though. 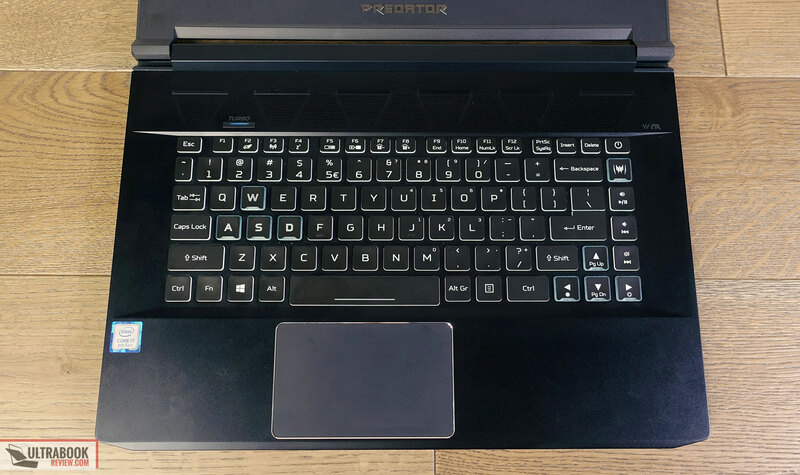 On the outside the Predator Triton 500 looks much like a regular computer, with the keyboard and clickpad placed where they should be, with a slim-bezel screen that flips all the way to the back and with all the needed ports lined on the sides. 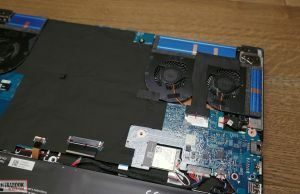 In fact, the only aspects suggesting its sleeper status are the large blue radiators on the back and sides, as well as the extra intake grills above the keyboard, and boy is this a sleeper laptop, as we’ll discuss in the Performance section down below. The Triton 500 is also compact, slim and light. In fact, size wise it’s not a whole different from the competitors with whom it also shares its hardware traits. 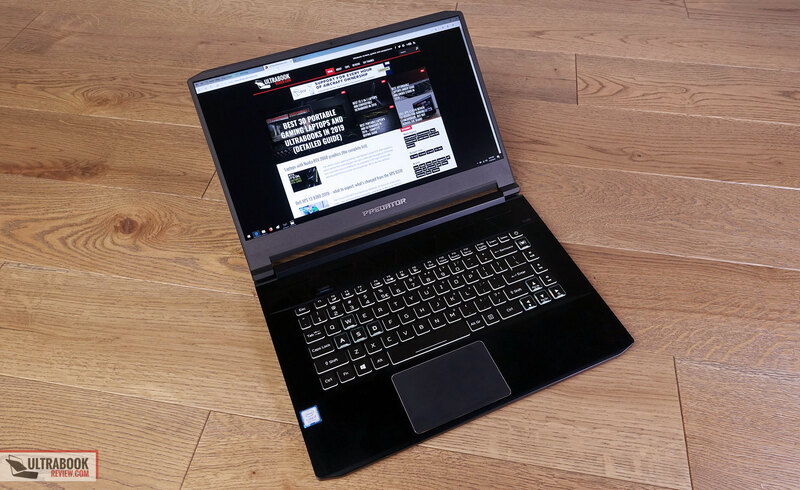 The build, on the other hand, is more on par with the flimsier GS65 Stealth than the sturdier Blade 15, as the screen is rather flexible and there’s also some bend in the keyboard deck. Pushing on the screen leads to a fair bit of warping, but it cause any ripples into the panel; as for the inner-deck flex, that’s not that bad and shouldn’t bother you with daily use, so while a sturdier construction would have been welcomed, I can see myself accepting this as it is. Nonetheless, I’d be careful when carrying the Triton in my backpack and wrap it in some good-quality protective case, which should also help fend-off scratches. Metal alloys are used for the entire outer-shell, with some good quality plastic around the bezel. 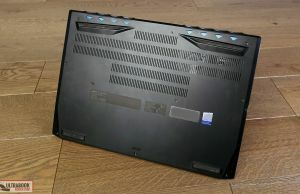 This laptop also looks clean and simple, without any annoying lights or branding elements on the inside, as even the status LEDs were conveniently pushed on the sides. That Predator logo on the hood though, which is lit by the screen’s panel and cannot be switched off, blows away some of its cover and could make it a hard pass in strict office/school environments. Overall though the Triton 500 is nonetheless a lot more tamed down than the Predators of the past, and a decal on the lid should also solve the logo issue. This is also a practical computer. 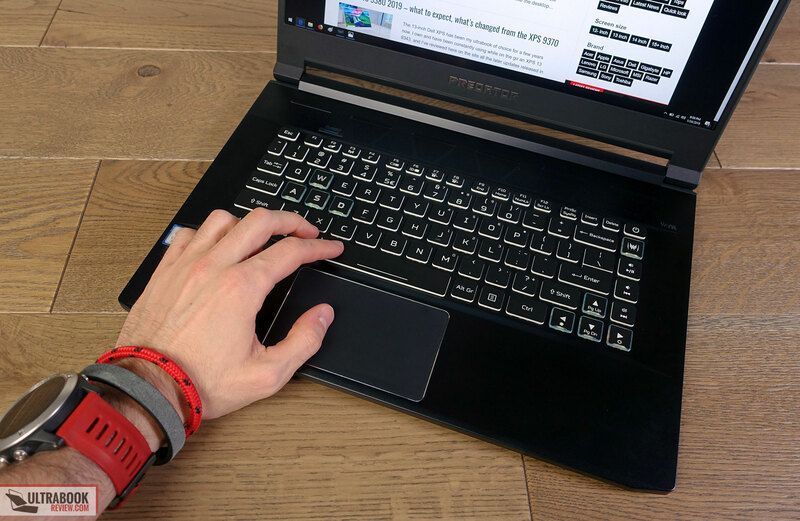 The rubber feet on the bottom keep it well anchored on a desk, you can easily lift up the screen with a single hand and push it all the way flat to 180 degrees, the palm-rest offers enough support and there’s no sharp front-edge or pointy corners that could dig into your wrists. The ports are also lined on the edges and include pretty much all you’ll need, except for a card reader. So, is there anything o complain about? Well, not really, but if we’re to nitpick I’d say front-facing speakers would have been nice, as well as a smoother joint between the sides and bottom panel, which on our sample leaves out a few sharp bitty edges. Back to that IO, despite its slim form, there’s still a LAN port on this thing, alongside HDMI and mini DP for video output, 3x USB A slots and USB-C with support for PCI3 4x Thunderbolt 3. All in all, Acer pretty much nailed it with the design and ergonomics, and the Triton 500 is simply one of my favorite Acer laptops to date. The build could have been a bit sturdier though, as that’s something they sacrificed when they opted for the lightweight magnesium-alloy construction. 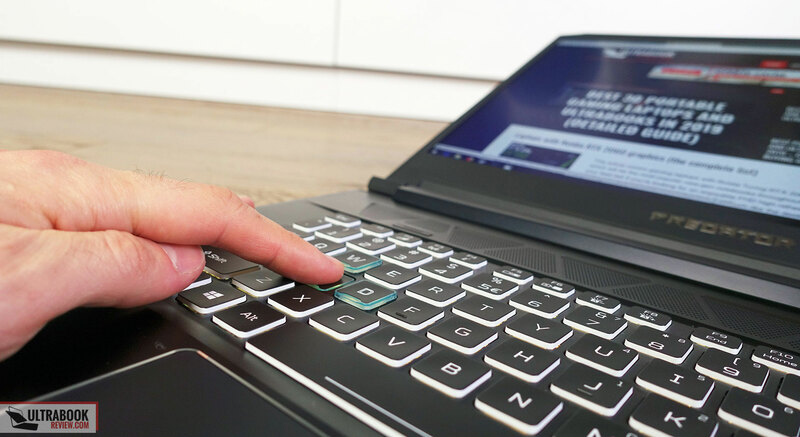 The Triton 500 also gets one of the nicer keyboards Acer puts on any of their laptops. 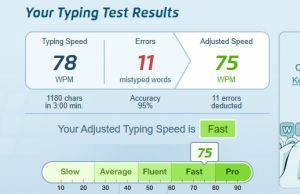 Some of you might find it a tad shallow compared to the keyboards on the larger gaming laptops, and it is, as it mostly resembles an ultrabook keyboard with a fairly short stroke and soft presses, without a lot of resistance. 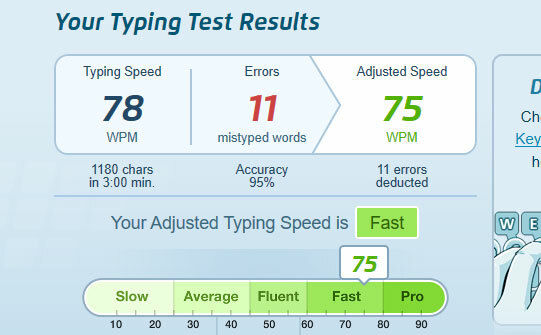 However, this kind of feedback makes it tactile, fast and quiet (except for the Space key that squeaks a bit), but also rather unforgiving and it will tax you with missed strokes if your fingers stray away. The layout is fairly standard, with well sized and spaced keys and without a NumPad. There’s an extra column of keys at the far right, but those are not meant for End/Home or PgUp/PgDn as on other Acer laptops, but instead act as media and volume controls, which some of you might consider rather wasteful. 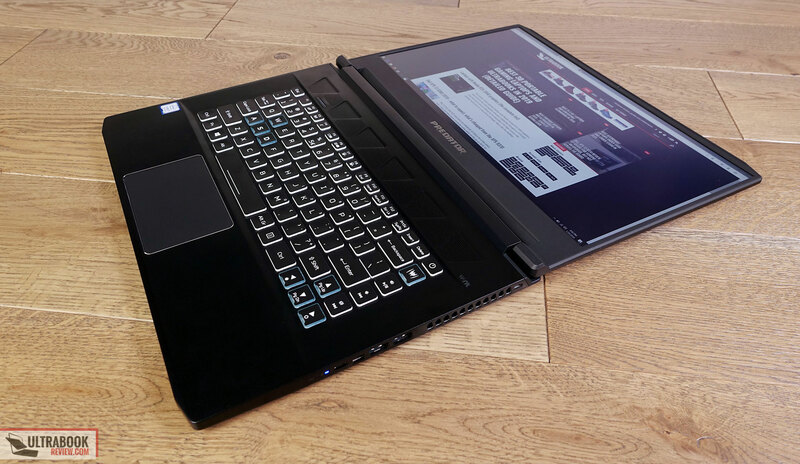 Nonetheless, this is a gaming laptop, and fast control over audio can come in handful. 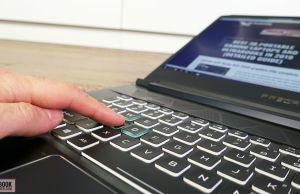 Acer went with a dark-themed keyboard to match the overall color scheme, with softly coated and slightly concave key-caps, and all these combined add to the overall pleasant typing experience. Most keys have white margins and some (WASD and arrows) get clear margins, both allowing for the illumination to shine through. 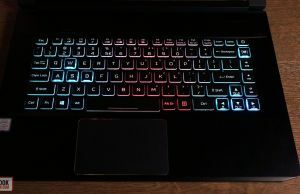 The lightning is where this keyboard falls a bit short though, as it only uses 3-zone illumination and not per-key control as with most other devices in this class. 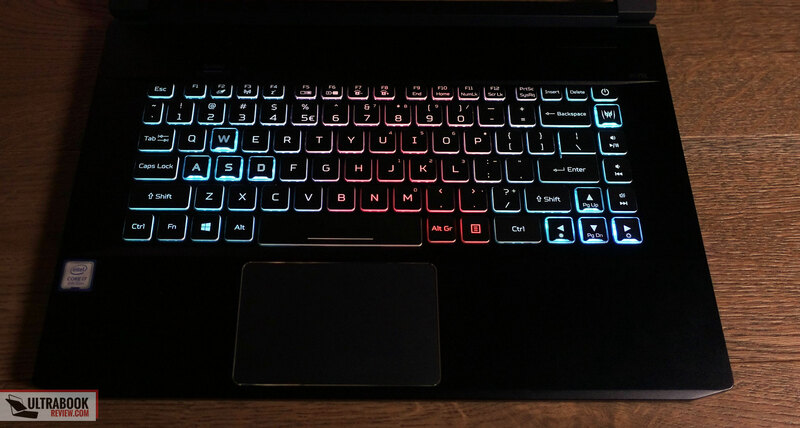 There’s also no Caps Lock marker and no way to activate the illumination with a swipe over the clickpad, you actually have to press a key to do it, something that I consider annoying when using the laptop in the dark. The LEDs beneath each key are otherwise bright enough and their light doesn’t creep out from between the keys. For mouse, Acer went with a fairly standard glass clickpad, a mid-sized Synaptics surface with Precision drivers. It’s true this might be a little small for a 2019 laptop, but don’t forget that the Triton 500 is fairly small as well, and Acer used the extra space at the top of the keyboard for the air-intake. 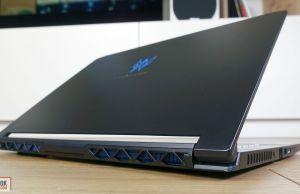 Overall I prefer the ergonomics of this approach over the alternative design that puts the keyboard at the bottom, like on the previous Acer Triton 700 or the Asus Zephyrus S lines, as it makes the computer more practical with daily use. Size aside, this clickpad just works as expected with swipes, taps, and gestures, and even the physical clicks are smooth and quiet. My only nit is with the hollow noise it makes when tapped a little firmer, but that’s also a non-issue as long as you stick to softer taps. As a side note, I’ll also add that the Predator Triton 500 lacks any sort of biometric login system, as it gets no finger-sensor or IR cameras, so you’ll have to constantly input your password to log into Windows, which is rather gruesome once you’re used to the convenience and speed of biometrics. 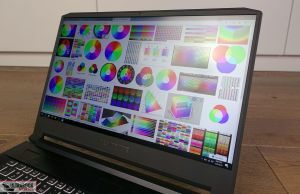 Acer puts one of the better 15.6-inch 144 Hz panels on the market on the Triton 500, the AU Optronics B156HAN08.2 that’s also available on the Asus ROG Scar II GL504 series. This is an IPS panel with pretty good brightness, decent contrast, and color accuracy, as well as fast-response times, no PWM and G-Sync support in this implementation. 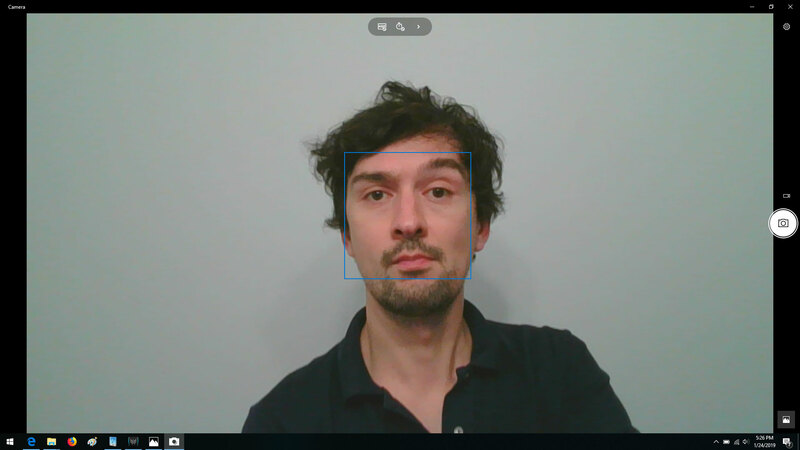 Details below, taken with a Spyder4 sensor. 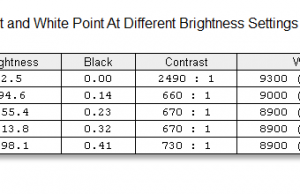 Keep in mind that other sites will report higher brightness/contrast levels, and that’s mostly because our tool measures brightness and contrast by switching between a white and black image, while other methods measure black and white points after having them on the screen for a longer period of time. 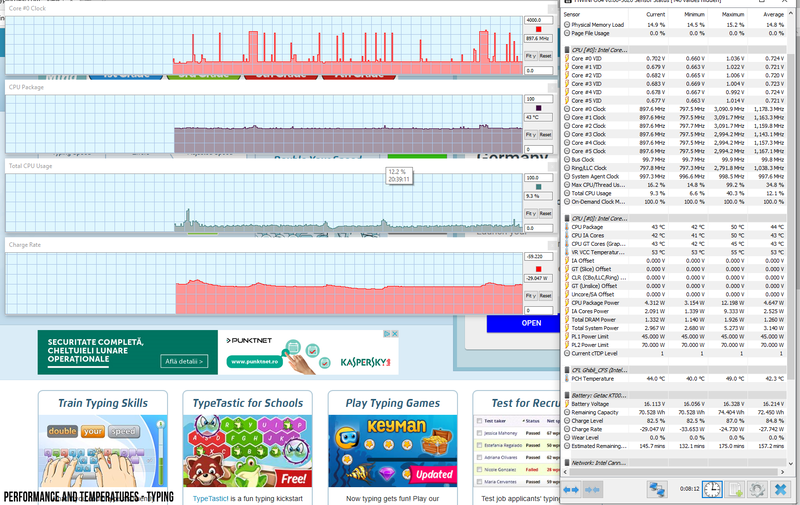 Response time: 3ms advertised, 11 ms GtG. 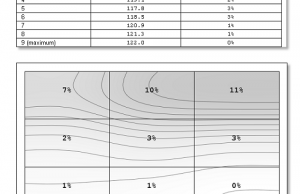 Our model came poorly calibrated out of the box though, with a significantly skewed White Point, as well as Gamma and Gray Level imbalances. 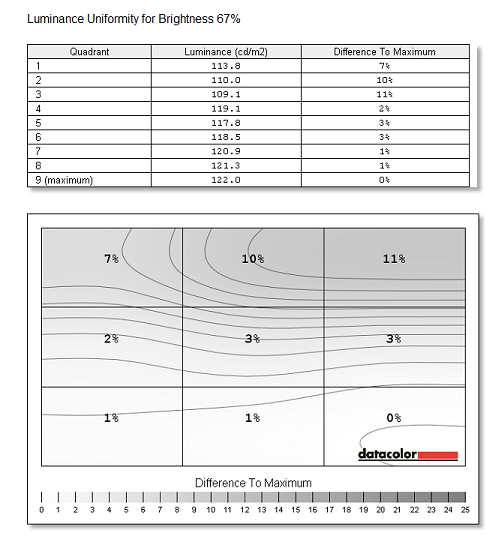 We were able to address most of these issues with calibration, and you can find the calibrated profile over here. We noticed some light-bleeding around the corners, but fairly limited and not to the point where it would be visible with actual use. 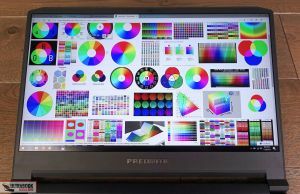 The sensor also reported some issues with color-uniformity in the lower left corner of the screen, not the kind that we could easily observe with the naked eye, but something those that would need a color-accurate screen for their work should be aware of. Nonetheless, if you need precise color accuracy you should just hook up a better external monitor anyway. Our test model is the higher-end configuration of the Acer Predator Triton 500, with the Core i7-8750H processor, 32 GB of RAM, the RTX 2080 Max-Q graphics chip and two M.2 SSDs hooked up in Raid0. Before we proceed to talk about its behavior and performance you should know that our review unit is an early pre-production model with early drivers from Nvidia (Version 417.71), thus some of the aspects covered in this section might improve/change with later-on updates and tweaks. As suggested by the configuration, this laptop gets two slots for RAM and two M.2 slots for storage. 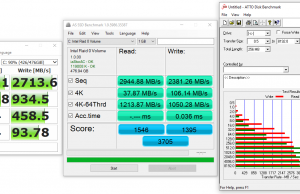 Having two 256 GB SSDs in Raid0 allow for faster transfer speeds than with a regular 512 GB drive, with a small price increase. As for the CPU and GPU, the Triton 500 gets the standard six-core i7-8750H processor available on all similar laptops, as well as a Max-Q implementation of the Nvidia RTX 2080 graphics chip, with 8 GB of GDDR6 VRAM, 735 MHz default clock speeds and the ability to Turbo at much higher speeds. 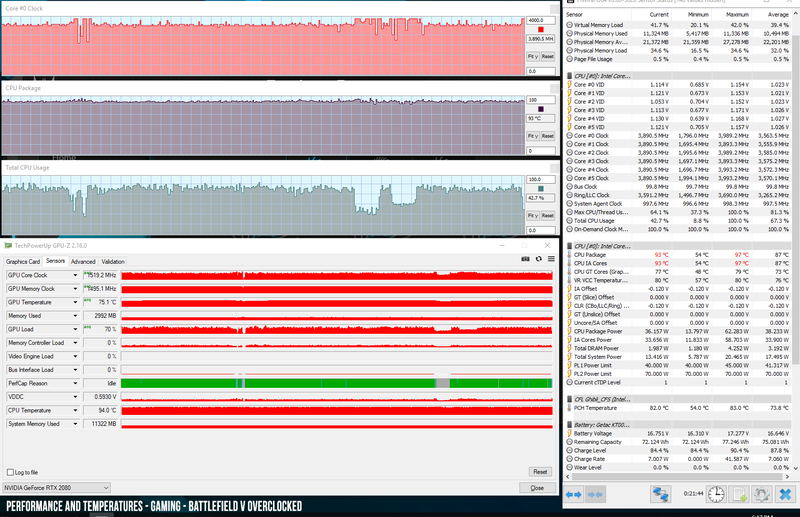 We’ll talk about both the CPU/GPU performance down below. 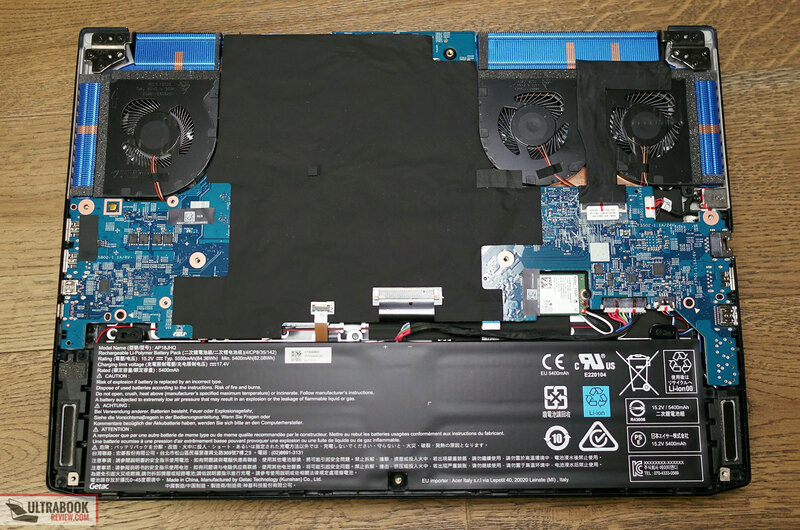 But first, we’ll quickly mention that you can access the components by removing the bottom panel which is held in place by a few Torx screws. 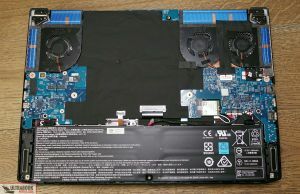 However, once that’s out of the way you’ll notice that the RAM, storage slots and the cooling system are actually placed underneath the motherboard, so you’ll pretty much have to completely disassemble this laptop to get to them, which would void warranty and we simply wouldn’t advise it to a regular user. We’ll also show you what to expect in terms of performance, thermals and power drain with everyday activities like browsing, typing or watching video content, while on battery. Given the G-Sync integration and the fact that the iGPU is disabled, you’re not going to get long battery life with this device, as you’ll see in a further section. 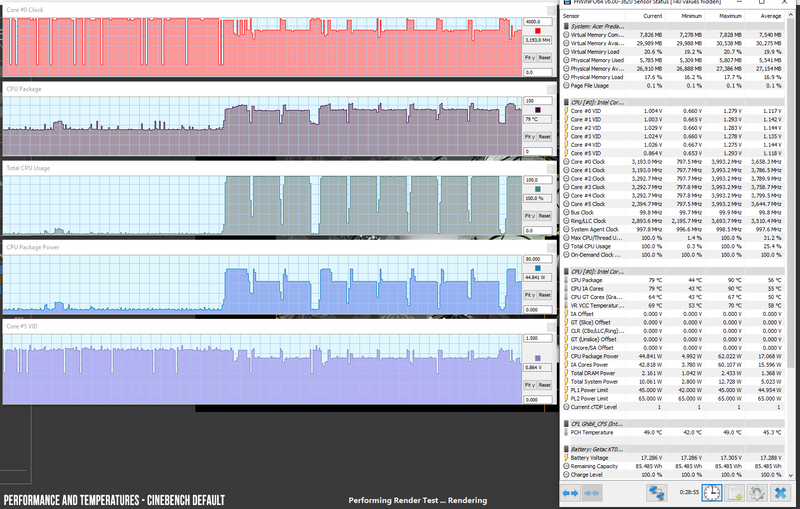 OK, let’s finally talk about this laptop’s performance. 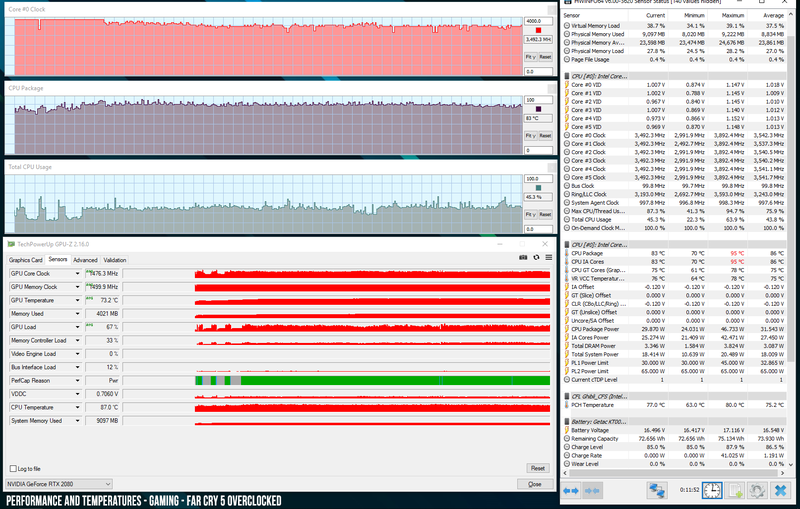 First, we test the CPU’s behavior in demanding loads by running Cinebench R15 for 10+ times in a loop, with 2-3 sec delay between each run, which simulates a 100% load on all the cores. 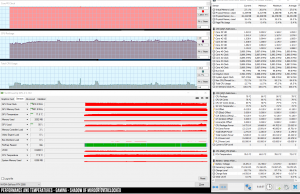 As with all modern CPUs, the first runs return high scores, but then they settle a little lower as the CPU heats-up and can no longer maintain its maximum Turbo speeds for more than a few seconds. 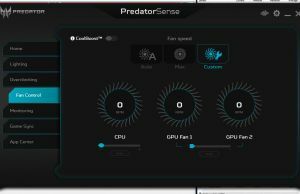 The included Predator Sense software doesn’t allow any CPU tweaking, so we first tested the CPU’s performance with the default out-of-the-box settings, on the Best Performance mode in Windows. Our sample settles for a TDP of 45 W, frequencies of 3.1-3.2 GHz, scores of around 1020 points and CPU temperatures of around 80 degrees Celsius. Details below. 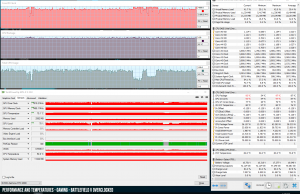 This is standard behavior for an i7-8750H implementation inside a thin-and-light chassis, but we were able to greatly improve it by undervolting the CPU, which was stable in Cinebench at -150 mV. 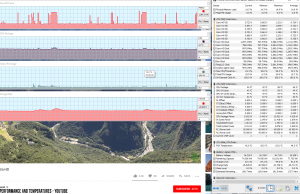 However, we encountered a few crashes on the later tests that involved both CPU and GPU loads, so we dialed back to a more stable -120 mV undervolted profile. 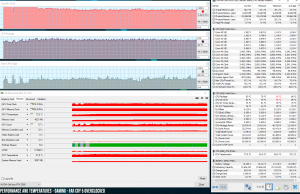 This translated in a similar TDP of 45 W, frequencies of 3.5-3.6 GHz, scores of around 1150 points and CPU temperatures of around 77-78 degrees Celsius. 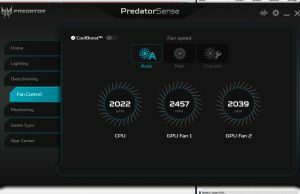 You might be able to push your unit even more to a -150 mV undervolt and perhaps a 50 W TDP limit in XTU, which translates in pretty much flawless performance, with the CPU settling at 3.8 – 3.9 GHz, temperatures of 81-83 Celsius and Cinebench scores of around 1200 points. 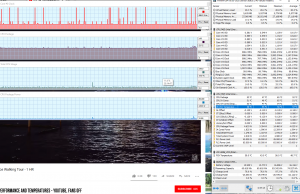 However, as already mentioned before, our sample proved unstable at these settings, that’s why all the other tests were performed at a -120 mV undervolt that leaves the i7-8750H at about 5% from its maximum potential, which is still excellent for a thin-and-light implementation. 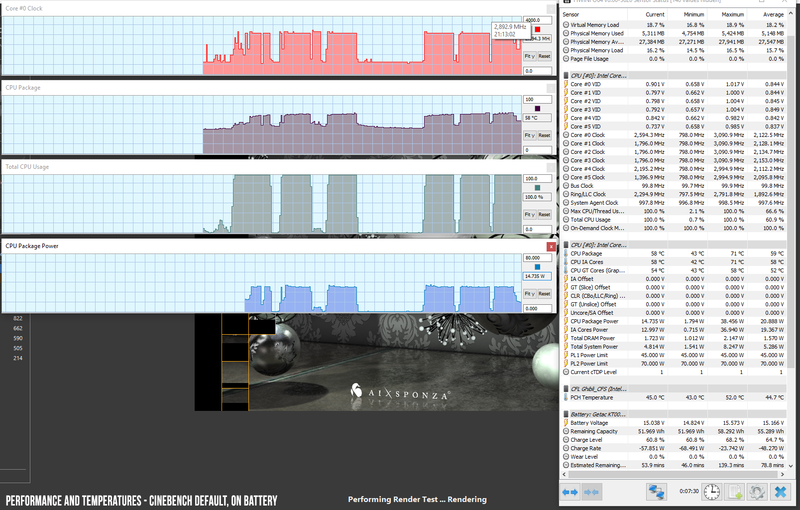 Our review unit also performed surprisingly well on battery, running at stable frequencies of 2.9 GHz and returning around 950 points in Cinebench on the default non-undervolted profile. 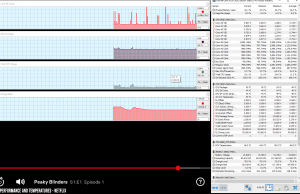 x264 HD Benchmark 4.0 32-bit: Pass 1 – 203.79 fps, Pass 2 – 66.75 fps. 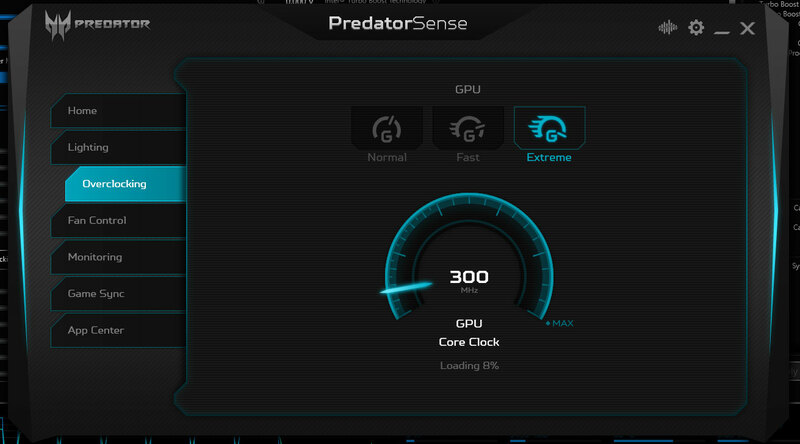 We also ran some of them on the -120 mV undervolted CPU profile, paired with the Extreme GPU profile from the Predator Sense app that boosts the GPU’s Clock speed by 300 MHz, which we’ll further refer as the Overclocked profile. 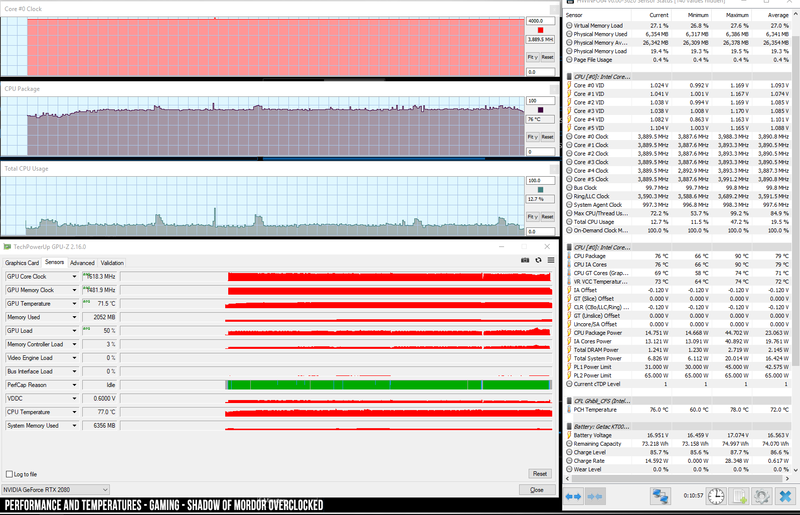 x264 HD Benchmark 4.0 32-bit: Pass 1 – 206.93 fps, Pass 2 – 71.46 fps. Overall though the RTX 2080 Max-Q implementation inside this laptop performs very well, and it might even do better with more mature drivers. Unfortunately, HWInfo does not properly recognize the RTX 2080 Max-Q GPU at the time of this article, so we could not properly monitor its frequencies during gaming. 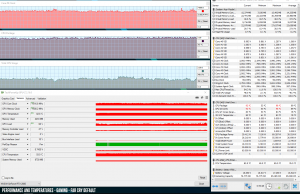 We used GPU-Z instead, but that only offers a limited graph, as you’ll see below, where we’ve included logs for both the Standard and Overclocked profile, while plugged in, as well as Overclocked on battery. You’ll notice that the GPU averages high Turbo Boost frequencies of 1400 to 1580 MHz even in the more demanding titles, and you’ll also notice that the Overclocked profile leads to improved GPU performance, which is mostly explained by the much lower CPU temperatures that allow the GPU to run at higher temperatures of its own, thus at higher speeds. 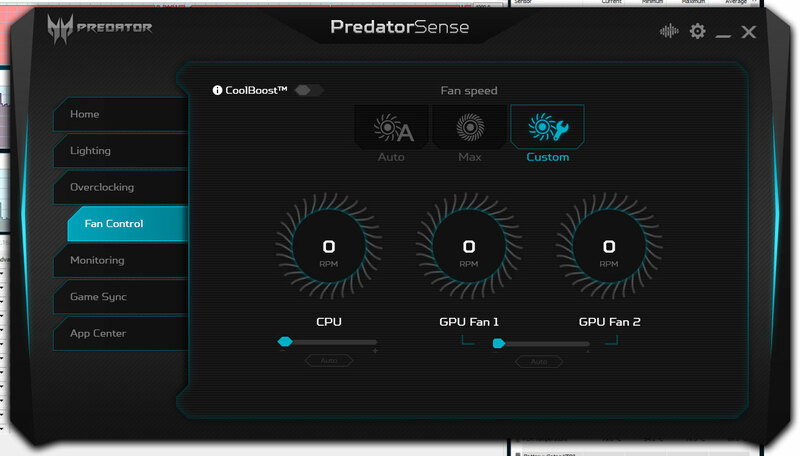 So in the end undervolting the CPU makes the most difference, paired with the fans set on Maximum speed on the Extreme profile from Predator Sense. 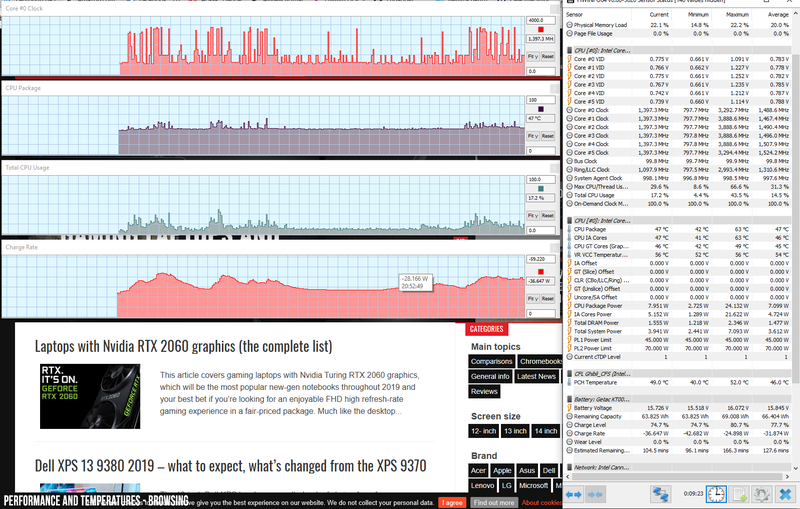 The fact that the GPU’s base speed in increased by 300 MHz makes a smaller difference imo, as the GPU runs far above those updated default clocks of 1075 MHz anyway. In conclusion, the Triton 500 is an excellent performer once undervolted and once the fans are switched off to Max speeds, both in CPU tasks and in games. 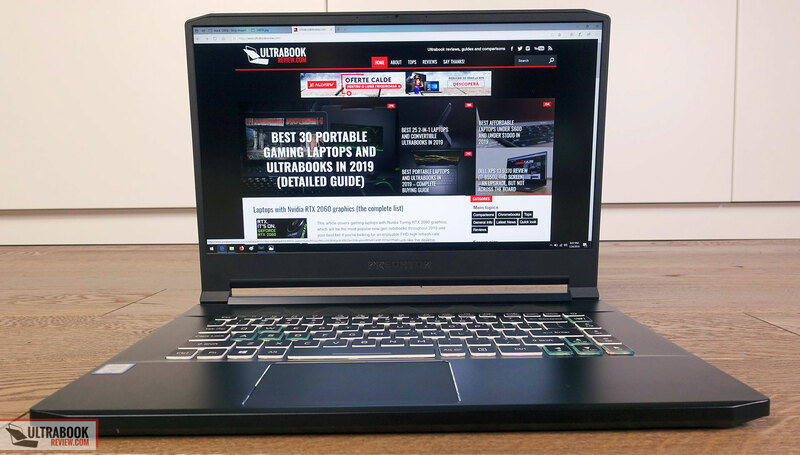 We’ll further talk about the RTX 2080 Max-Q’s performance in comparison to the previous GTX 1080 and 1070 Max-Q mobile chips in this dedicated article, so you should have a look if you want to know how these new notebooks fare against the older (and by now much cheaper) alternatives. The Triton 500 gets a complex cooling design, with an array of heatpipes and three high-speed fans with Acer’s proprietary AeroBlade 3D design. One of these fans is in charge of cooling the CPU, and the other two take care of the GPU, although the heatpipes’ system interlinks between the three. 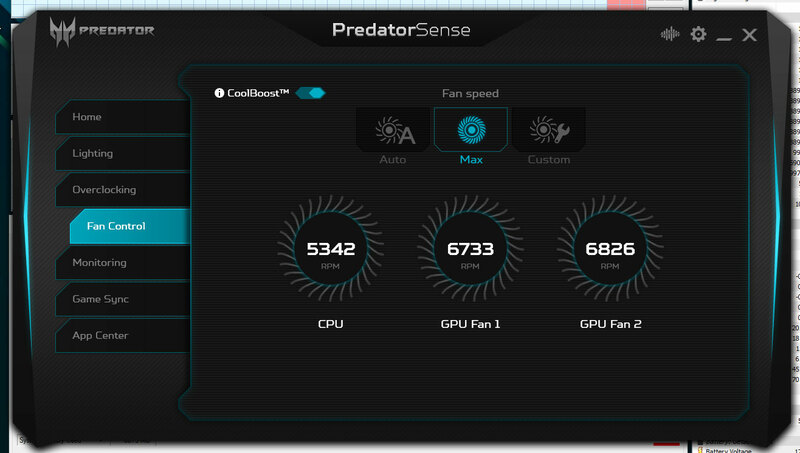 The fans are active all the time while on the Auto profile, even with daily use, but spin quietly and you’ll only hear them in a silent environment. 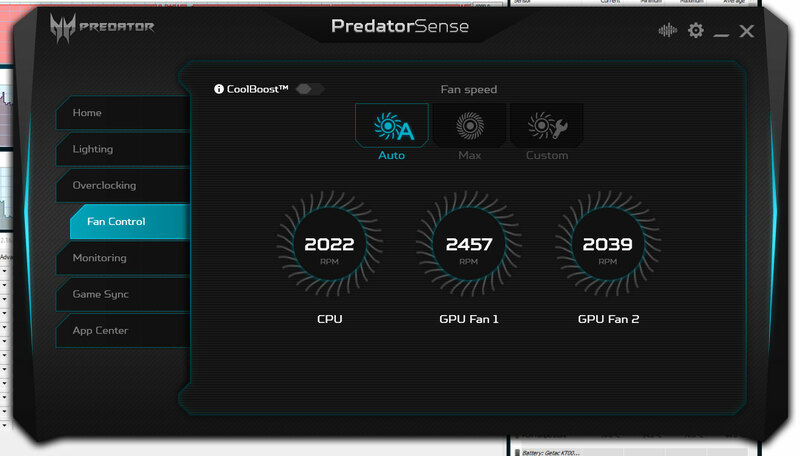 You can, however, switch them off manually from the Custom profile, in which case the CPU is going to run at around 55-60 degrees C with daily use, roughly 10-15 degrees more than when leaving the fans on auto, with an impact on outer-shell temperatures as well. Make sure to remember to switch them back when running more demanding tasks though. 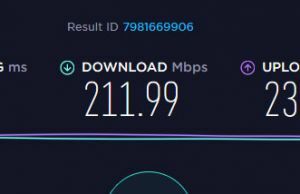 I would have preferred more granular control over their speed from the app, with the ability to set custom speeds based on a couple of temperature brackets, which some other OEMs offer. 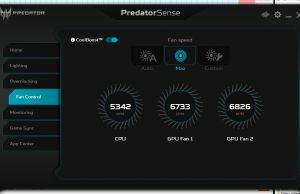 The fans ramp-up significantly with gaming, topping at about 51-52 dB at head-level on the default settings with the Auto fan profile, up to 56 dB once your hit the Turbo button that pushes the fans to maximum speeds or up to 58 dB once you also activate CoolBoost, which further increases their speed. At this point, the Triton becomes one of the noisiest laptops on the market, but the truth is that it runs noisily with games no matter what and most likely you’ll want headphones to cover that up. There is however one other issue and there’s no way around it: the internal components and the outer shell reach high temperatures with gaming, and I would simply suggest all buyers to undervolt the CPU and use the Turbo fan profile in order to lower those temperatures as much as possible. 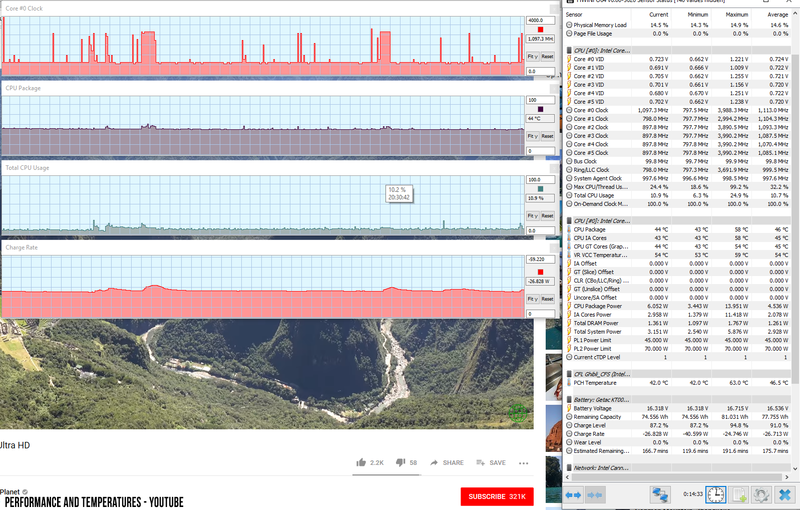 The images below show that the case actually runs hotter on the default profile with the fans on Auto, and switching to the Overclocked profile with Turbo fans lowers them, on top of all the performance boosts discussed in the previous section. 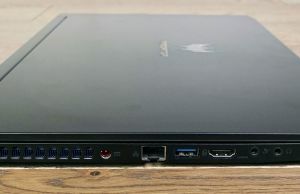 For connectivity, there’s Wireless AC and Bluetooth on this laptop, through a Killer 1550i implementation of the popular Intel AC 9560 module, but also Gigabit Lan through a Killer E3000 module. 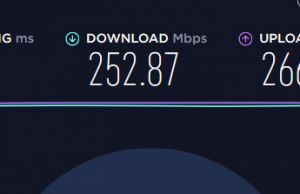 We’ve mostly used our unit on wireless and aside from the fact that it doesn’t reach the speeds of other implementations with our router, there’s nothing to complain about, as it offers stable signal strength and speeds both near the router and at 30+ feet, with walls in between. There’s a set of stereo speakers on this laptop, firing through grills on the underbelly. They’re rather lacking, with middling volumes of up to 76 dB at head level and average sound quality. 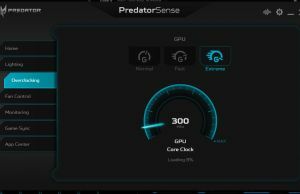 You can tweak their output with the presets available in the Predator Sense app, but don’t expect wonders. As a side note, these don’t distort at maximum volumes, but they do push a fair bit of vibrations into the palm-rest. 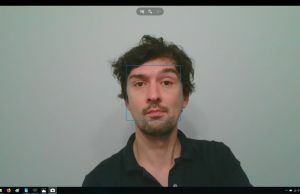 As for the webcam, it’s a standard HD cam placed at the top of the screen and takes mediocre shots, much like most other laptop cameras out there. Acer squeezed an 84 Wh battery inside this 15-inch Predator Triton 500, which is about average for its class. However, with GSync and no eGPU, you’re still not going to get much in terms of battery life. Here’s what we got on our review unit, with the screen set at 30% brightness, roughly 120 nits. 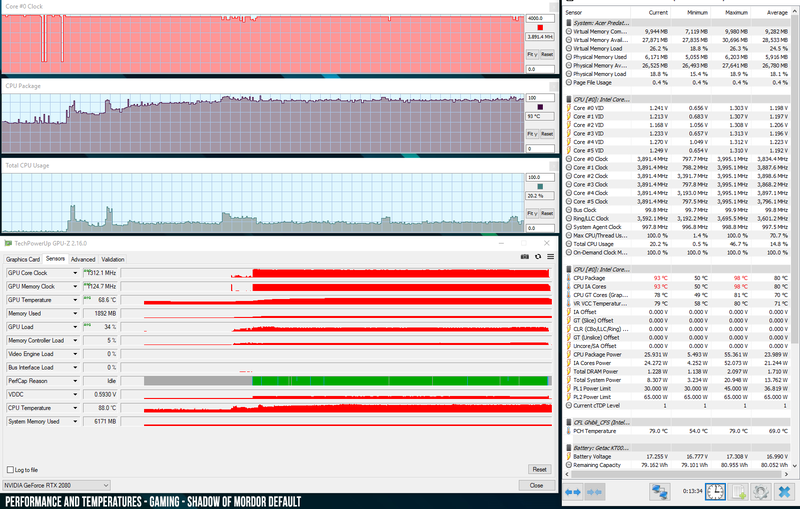 52 W (~1 h 30 min of use) – Gaming – Middle Earth: Shadow of Mordor, Maximum Performance Mode, screen at 30%, Wi-Fi ON. Update: Looks like the retail versions of this laptop allow to switch GSync On and Off from BIOS, which means you will be able to get around 4 hours of daily use and 5-6 hours of video by disabling GSync. This laptop charges via a standard barrel-plug and our pre-production sample was delivered with a compact 180W charger. We found it to be slightly underpowered for an RTX 2080 Max-Q configuration, and as a result, the battery slowly discharges during demanding gaming sessions on the overclocked profile we’ve used in our tests, so you’ll have to take breaks after each couple of hours of playing. We’re looking for clarifications whether the final versions will also ship with a similar 180 W charger or a more adequate 230 W brick, which other OEMs are bundling on their RTX 2080 Max-Q variants. Update: NotebookCheck’s review of the Triton mentions that the 180W charger is adequately sized for their RTX 2080 version. However, digging deeper into their results I noticed their RTX 2080 Max-Q implementation clocks at lower frequencies during gaming (1215 MHz in Witcher 3, compared to 1500+ MHz in FarCry 5/ Battlefield V on ours), and I believe that’s why their sample required less power. Unfortunately, we don’t have the tools to properly test power-drain, nor have we logged this behavior with HWinfo at the time of the article, so we only reported what we observed with actual use, thus, take our findings with a grain of salt until we actually get more opinions and reviews of final retail models. 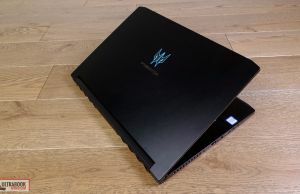 The Acer Predator Triton 500 is shipping from the end of January 2019, with prices starting at around $2500 in the US for the RTX 2080 models, which makes it one of the more affordable devices in its class, aside from the Clevo barebones. A lower end version with RTX 2060 graphics is also available, starting at around $1800. Follow this link for more details and updated configurations/prices at the time you’re reading the article. 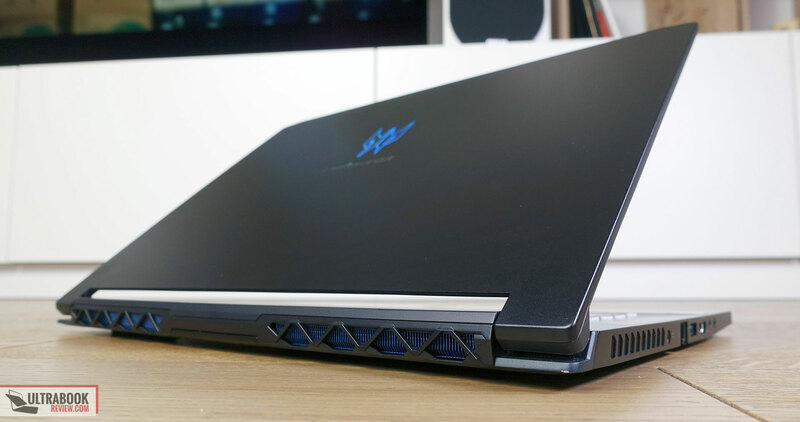 Acer did a great job with the Predator Triton 500, and even if there’s still room for refinements here and there, I’d expect this to be popular in its class in the months to come. 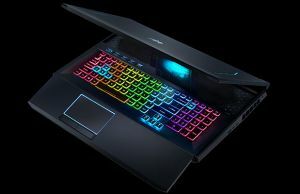 Price wise it should compete at the lower end of its segment with the MSI GS65 Stealth Thin, leaving the Gigabyte Aero 15 Y9, Asus ROG Zephyrus S GX531 and the Razer Blade 15 Advanced to battle at the top. 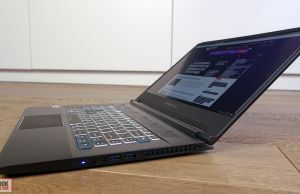 The excellent performance is the main reason why I’d recommend this laptop, both in demanding CPU loads and in games, where based on what we know so far, it will match and out-match all its rivals. 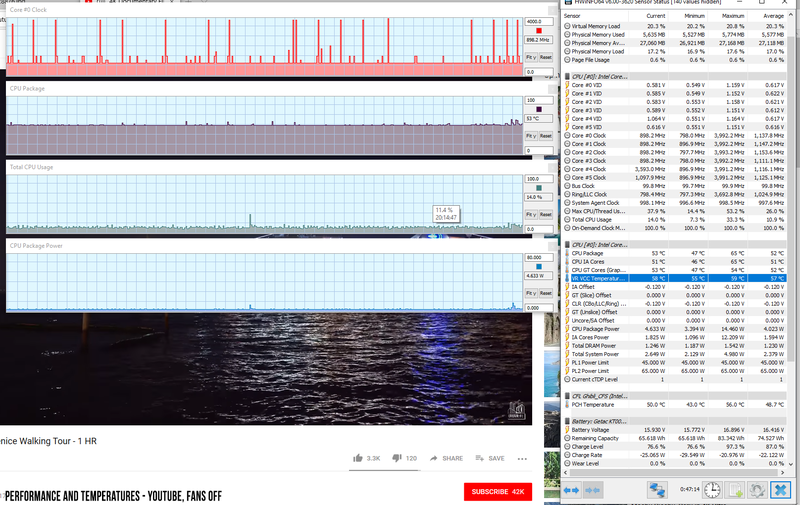 It does run very hot though and those fans ramp up to 55-58 dB, which means headphones will be a must when running games, yet that’s pretty much a given with all these thin-and-light laptops with high-end specs. The excellent news is that this doesn’t throttle once undervolted, unlike some of the competitors. 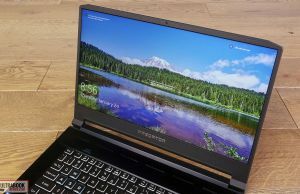 Acer also puts a good-quality screen on this laptop, one of the better 15-inch 144 Hz panels out there, as well as a proper set of ports and a mid-sized battery. 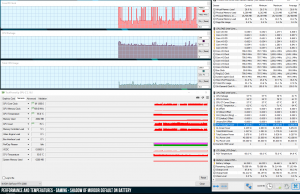 Battery life can also be one of it assets if you choose to disable GSync from BIOS, as otherwise you’re not going to get much with GSync switched ON. 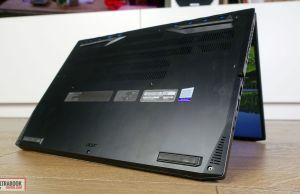 The build is, however, one aspect Acer could have done a little better, as the magnesium alloys they’re using for the case flex and feel a bit flimsy when compared to the tougher builds of the Blade and Zephyrus. They could have also opted for better keyboard illumination, as all the competitors offer per-key control these days, and there’s also room for improvement in the audio department, but no-one except for the Blade does significantly better here. 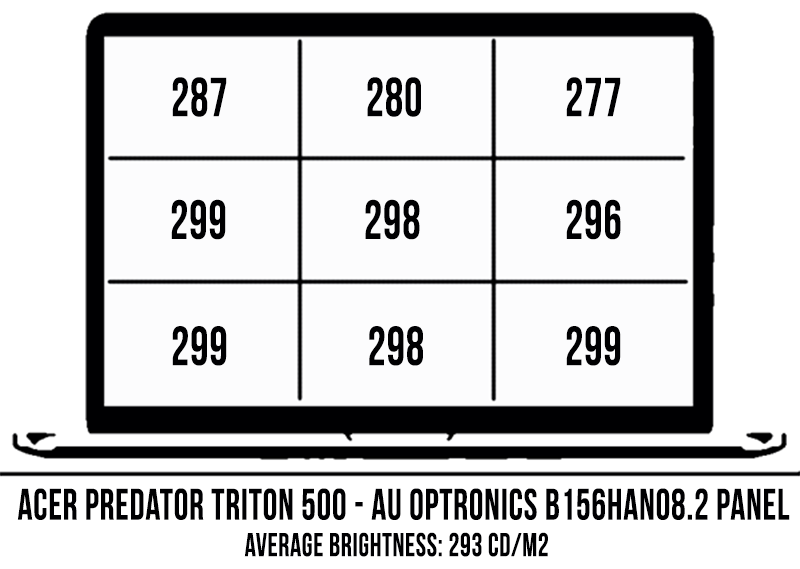 In the end, we’re rating the Predator Triton 500 at 4.25 out of 5, which is a high score in our book. 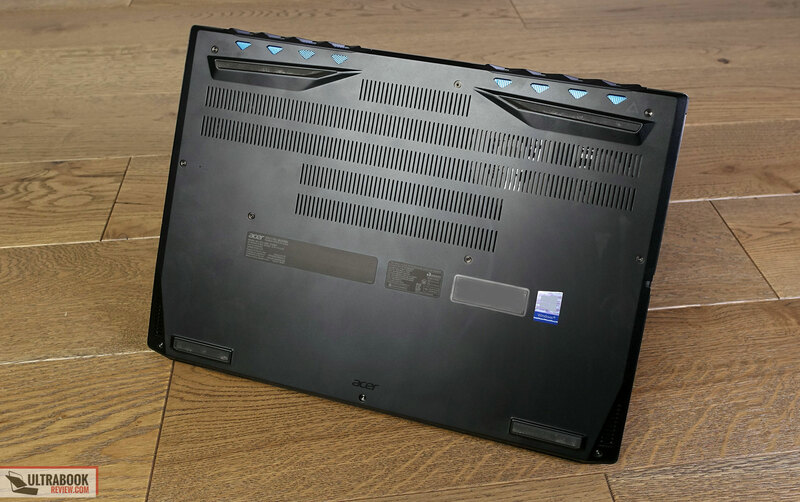 The excellent performance, the good screen, the fast keyboard, the compact form-factor, and the competitive pricing weigh heavily in this rating, while the flexible construction and especially the high-temperatures drag it down. We gave the noisy fans and lacking speakers a lower weight in the overall score, as we expect gamers to use headphones anyway, and we also didn’t deduct many points for the lack of per-key RGB control either, as we personally don’t care much about this aspect. We also didn’t factor in the small charger we got with our review unit, but that’s something that would lower the overall score if Acer ship the retail RTX 2080 versions with that 180W charger. 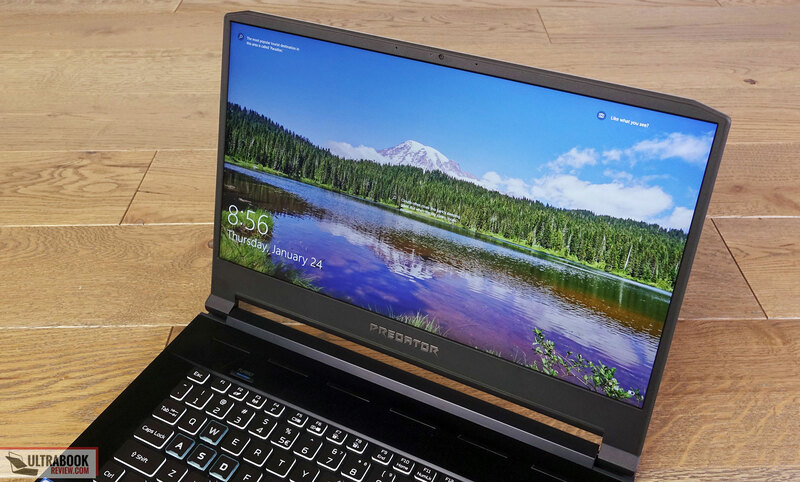 That pretty much wraps up our review of the Acer Predator Triton 500, but we’re looking for your feedback, comments, and questions in the section down below, and we’re around to reply and help out if we can. Does this sentence "However, with GSync and no eGPU, you’re still not going to get much in terms of battery life." 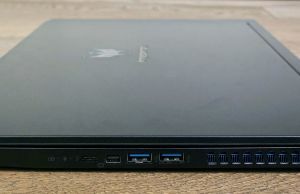 mean that it will not be possible to connect a eGPU like Razer Core to this laptop? It was supposed to say dGPU. 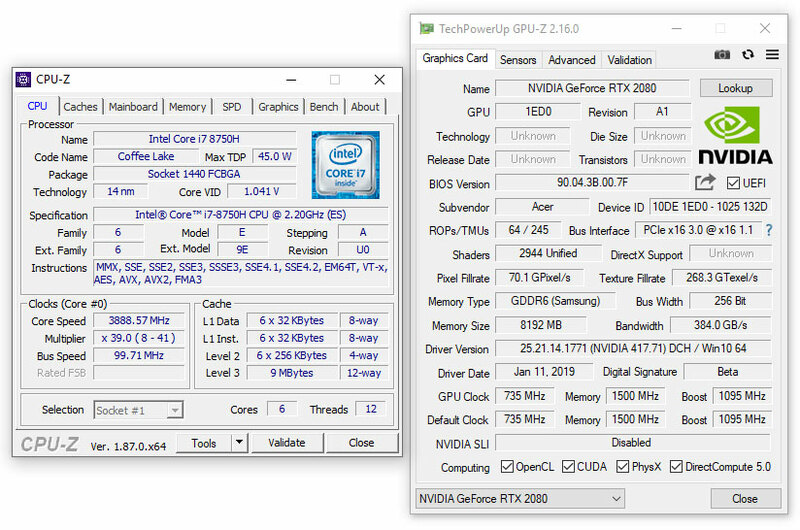 An eGPU should work, although compatibility with the Core is uncertain and should be tested. 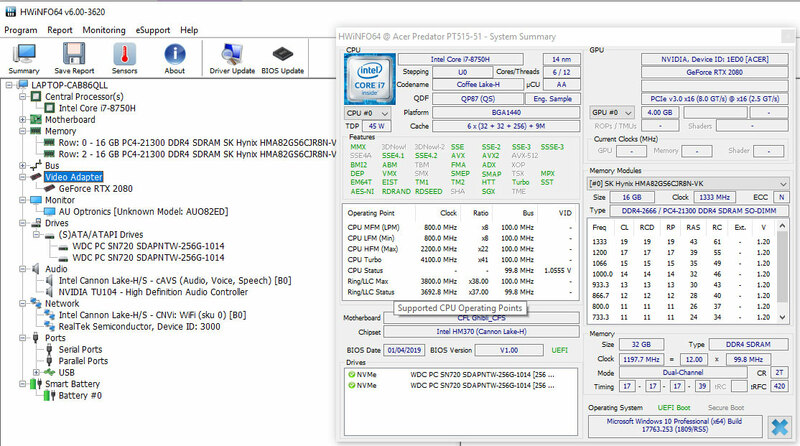 Does rtx 2060 model of Acer predator triton 500 have Nvidia Optimus support as it doesn't have G-Sync? I haven't touched it, but from what I've seen, it comes with Optimus and no GSync, so should have much better battery life. It really doesn't. 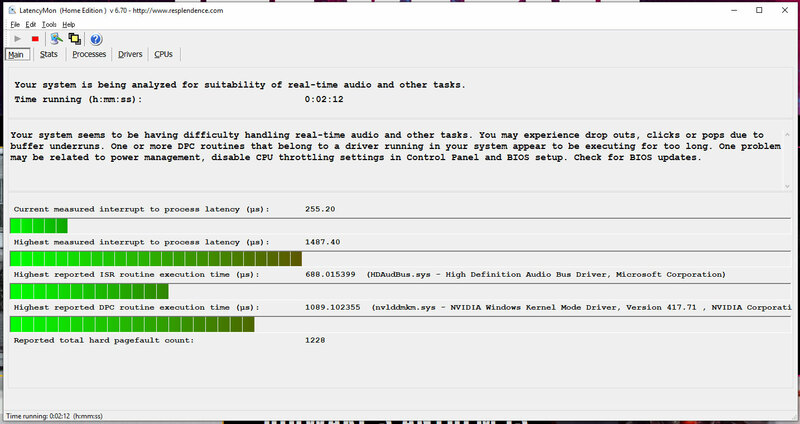 I just got my laptop with a 2060 and it has about 2.5 hours at 10% brightness with battery saver on. Any idea on how to make it last longer? 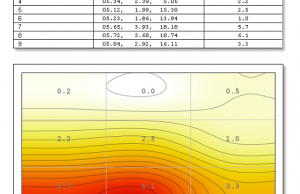 Use HWinfo and check out the Power drain stats in Sensors >> Battery section. 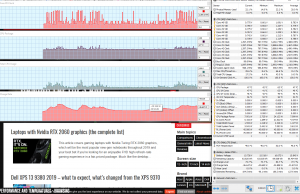 |this should help you narrow down if the CPU clock down properly and if the GPU switches OFF. 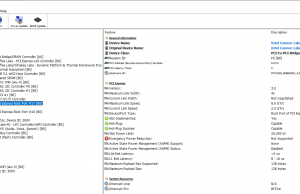 The Optimus option should be in BIOS as far as I know. Would the rtx 2060 date better with fam noise? It should, yes, but the more important benefit would be lower temperatures. There should be good value in the RTX 2060 variants of most laptops, better than with the 2070s and definitely better than with the expensive 2080s. 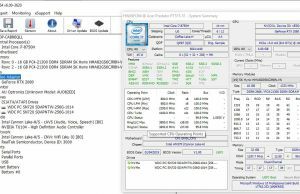 Notebookcheck just published their review of the Triton 500 with the 2080 MQ and found the 180W charger was sufficient. They didn't mention anything about battery discharge. Do you know anyone there that you could chat with to see if perhaps they didn't run the right tests to determine whether the battery discharges or not? Interesting. I would trust their measurements. 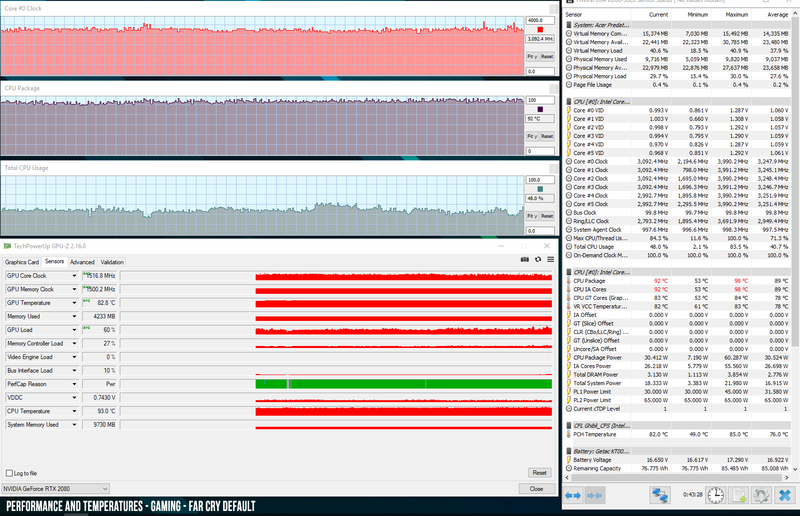 I think our sample worked differently though, and it discharged with games on the overclocked profile. They don't seem to mention anything about the OC GPU profile, nor have a lot of gaming tests. 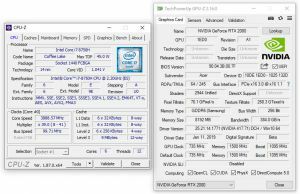 They mention 1215 MHz for the GPU in Witcher and fairly low temperatures, we got around 1500 Mhz in Far Cry 5 and Battlefield V, which are similarly demanding titles, with higher temperatures. 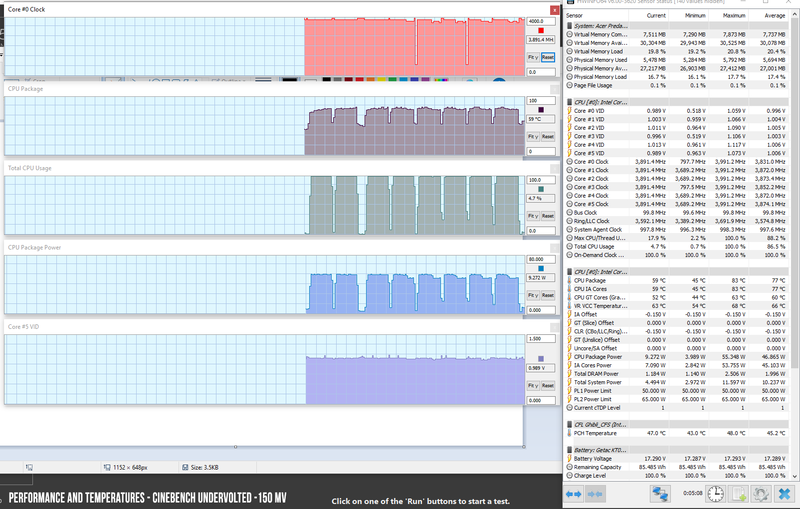 Thus the GPU in our sample performed better, so it drew more power. 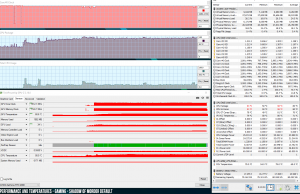 HWinfo did not recognize the GPU at the time of the article, so I don't have any exact TDP data for the GPU. 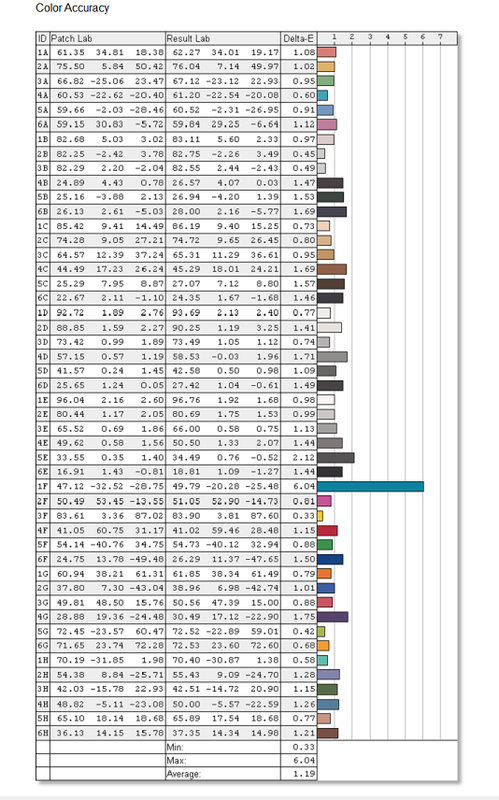 Also, look at the VDDC value here: https://www.ultrabookreview.com/wp-content/uploads/2019/01/perf-temps-gaming-farcry-default.png, it's much higher compared to the one on their Witcher 3 log. 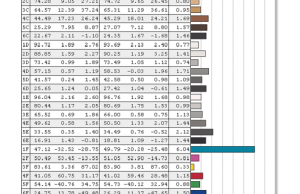 They also don't post any 3Dmark results, so there's really no way to tell how their sample compared to ours. 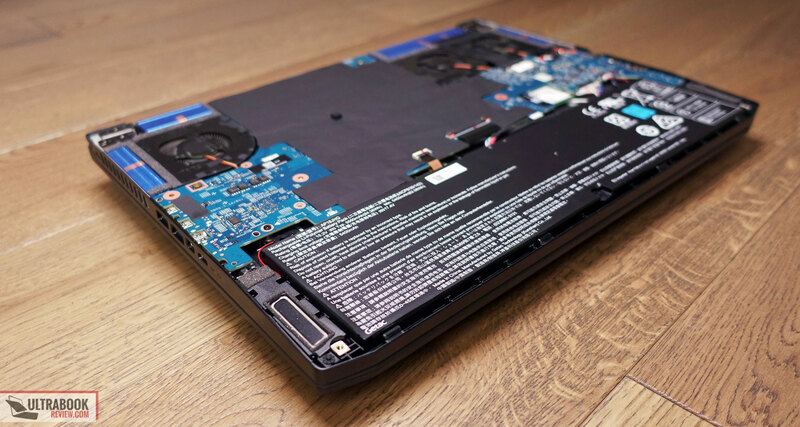 Quick note – I received this laptop a couple days ago and I noticed some drain after playing an hour or so of Civilization 6 (battery was at 89%). 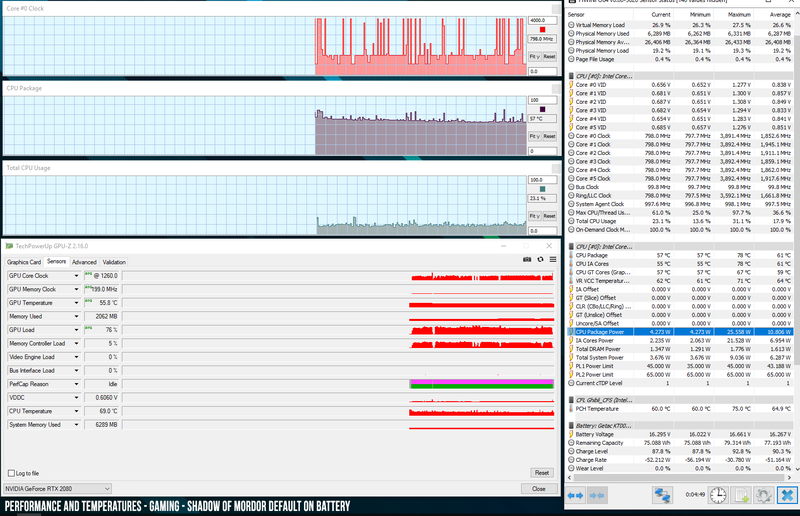 It looks like the 180v power brick that comes with the laptop is not sufficient to power the laptop under high loads. I'm considering returning the laptop, too bad because the gaming performance is fantastic. Thoughts on this? I experienced power drain myself, as explained in the battery life section. Up to you if you can live with this issues or not. Is it possible to get a 230w power brick that is suitable for this laptop? Hi it seems 2060 variant does not come with g-sync as i see it on amazon. Could ye confirm this? Just got my Triton 800 with RTX 2080, 16GB, 512 SSD. In the bios I have an option for switchable graphics – "MSHybrid" and "dGPU". This was rather unexpected and a great bonus! My Acer Predator Triton 500 is on its way today. 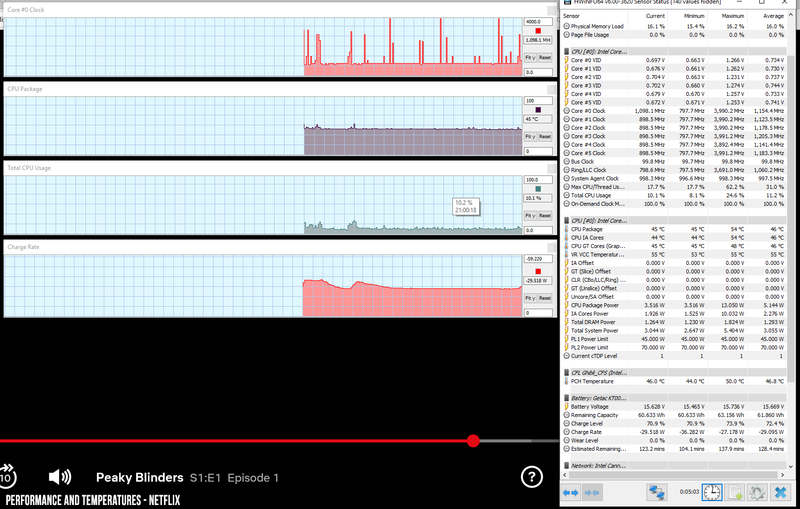 Can I ask, did you use Throttlestop for your undervolting? If so could you post a screenshot of your settings on that? Thanks so much for all the valuable info that help[ed lead me to this laptop choice. You can use either XTU or Throttlestop. 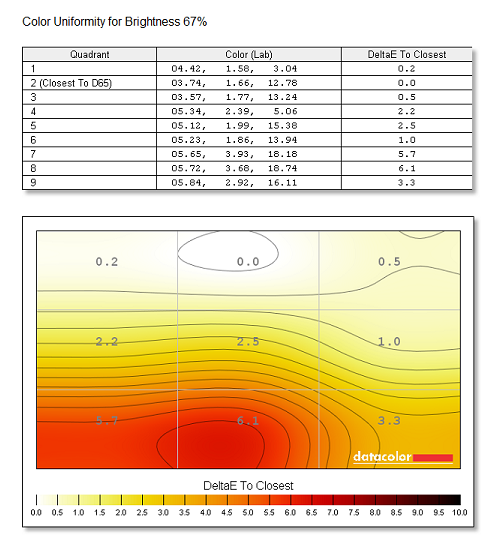 I don't have a print screen with the settings, but they are explained in the article.